Havasu Falls is one of those places that you see and can’t believe it exists here in the United States, let alone at the very bottom of the Grand Canyon (Supai, Arizona). Not an easy spot to visit due to its remote location and required planning, this jewel is well worth the extra effort. Keep in mind, the following details are all based upon my experiences visiting as well as the research I have done- don’t quote me as fact. If you want to go straight to the source, click here to visit the Tribe’s official website. 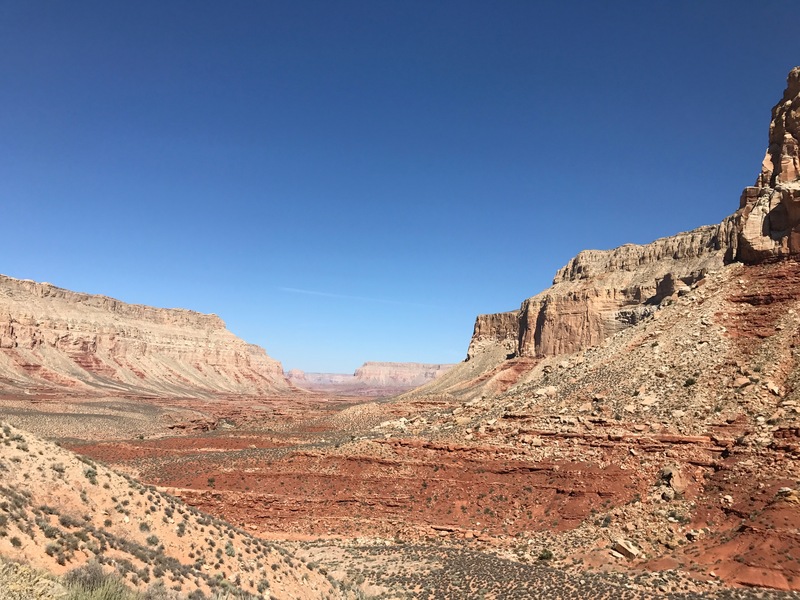 Prior to planning your adventure to Supai, begin looking into permits. This is not the destination to try to hit last minute on your southwest road trip, or show up on a whim one day planning to get a quick visit in. Day hikes are not allowed, you have to reserve at least one night: either camping at the campground, or getting a room at the lodge in town. 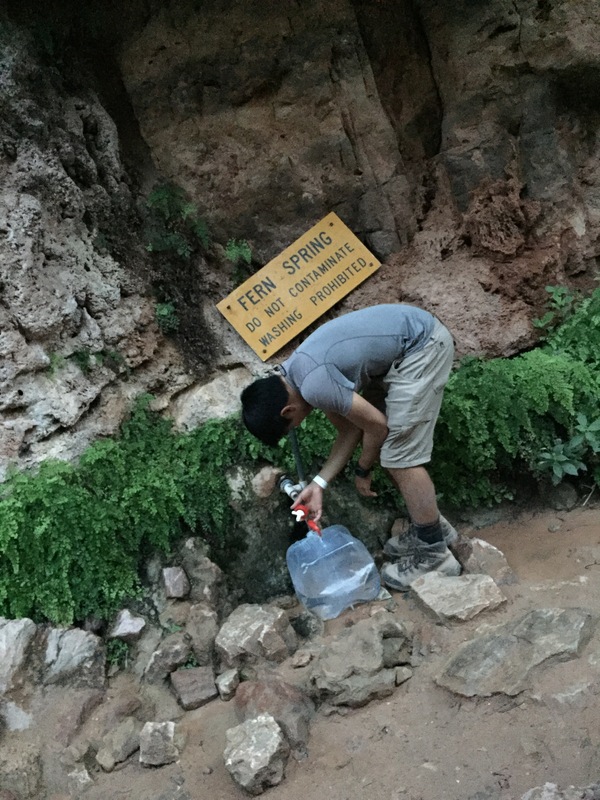 To reiterate: you must have permits prior to hiking into Supai. Permits can be obtained by calling the Tourism Office, or through a newer online reservation system (campgrounds only, you still have to call for the lodge). Camping reservations open for the year on February 1st, and seem to sell out within the first hour. I have heard that calling for permits can be a very dedicated process- people call repeatedly all day, for days/ weeks, trying to get through the phone lines. However it IS worth the effort being as the Office may be able to issue more permits or make changes to existing reservations, when online is completely booked. More information on reservations here, including details on the fees and limitations. 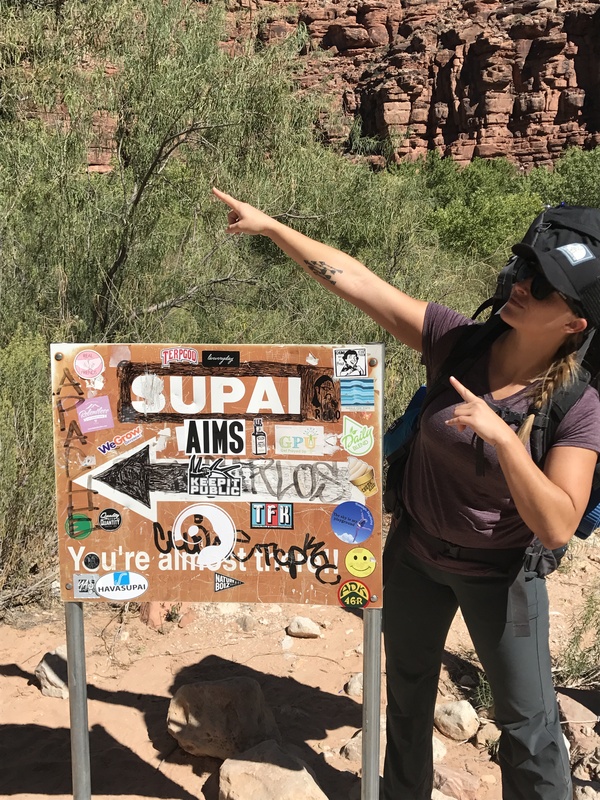 To get to the town of Supai, you have to hike about 8 miles from the trailhead down to town. Once you check in at the Tourism Office to get your wristbands and tent tags, etc, you’ve got another 2 miles to the campground. You can either backpack in/out, pay for a mule to carry your pack in/out, or pay to take the helicopter in and/or out. (It is a really beautiful hike in, I personally have backpacked both of my trips and definitely recommend doing so for the best experience). The trailhead is at the end of Route 18, off of historic Route 66. The first 1/ 1.5 miles of the trail are steep, beginning with numerous switchbacks (this makes for an extra fun end of your hike on the way back). The trail then levels off to a gradual downhill trek- it’s not an extremely strenuous hike, just a bit long with a heavy pack, especially if you aren’t used to hiking with weight on your back. Be aware of mule trains that carry luggage and mail up and down the trail, and be prepared to move out of their way when you hear them. Enjoy the scenery on the way in as it’s quite fantastic- open desert narrowing down into a canyon, the colorful canyon walls beginning to loom around you as you continue your descent towards the village. When you finally reach town, there is a little store that’s warrants a stop. Frozen gatorades, ice cream, and other novelties make for a perfect treat after a warm 8 mile hike under the Arizona sun. Further along is the Tourism Office, Post Office, another store (that typically has dry foods and some fresh produce for sale), and a small cafe (great spot to grab lunch). The two miles to the campground are downhill and dusty, but the scenery is pretty and seeing the falls you pass on the way adds anticipation to the views that await. Right before you make it to the campground, the trail opens up to reveal one of the most anticipated wonders in the canyon- Havasu Falls. While preparing for this trip I was wondering if the falls really look as vivid in person as everyone’s photographs, or if photoshop and people’s editing skills were setting me up for disappointment. It was such an amazing moment to see the falls finally and realize that it is even better in person! The red cliffs and turquoise waters make for a stunning contrast, it’s quite surreal. The campgrounds themselves are simple. 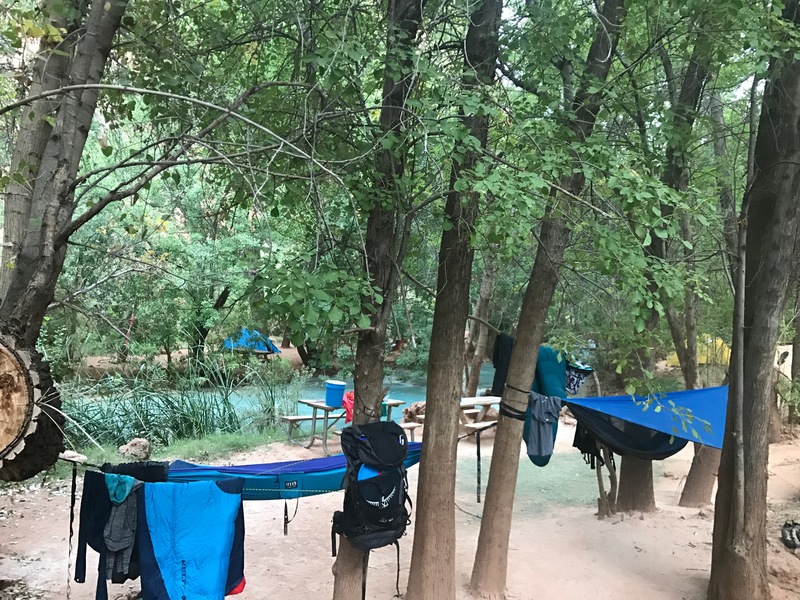 Spots are first come first serve- there are plenty of trees for hammocks, and I saw some really cool spots to pitch a tent. Picnic tables are scattered around the campgrounds, as well as several bathrooms with composting toilets (a nice amenity to have in this location, with so many people). 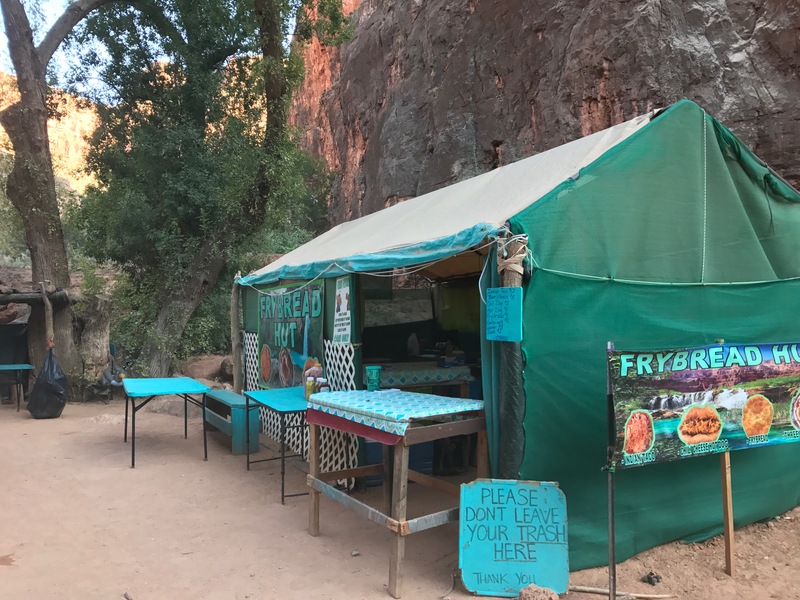 There is a fry bread stand at the beginning of the campground – a definite must try while you are here, if you’re lucky enough to catch them while they’re open. 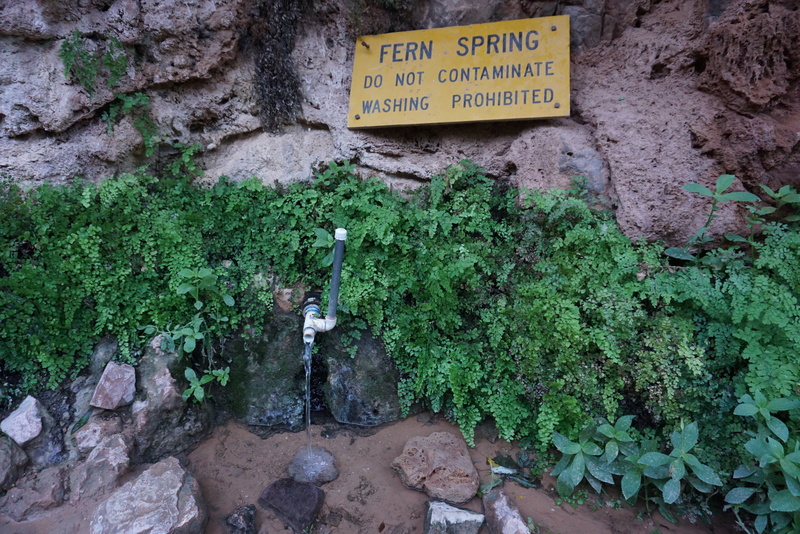 Fern spring is a natural spring in the campground where you can fill up on water. Typically it is considered safe to drink (I have for two years and it was fine), but the Tribe’s website does suggest filtering. Signs will be posted to warn visitors if there are any known issues with the water safety. Your trash is your responsibility- pack it in, pack it out. (Simple concept in theory, but unfortunately not one everyone follows). Do not leave food or scented items in your pack or tent- critters will chew through anything to get to it. The Ranger’s station at the campground entrance usually has some plastic 5 gallon buckets they will loan you. I hung my food in the buckets one year, and another year used just a dry sack with a frisbee over it (to prevent critters from climbing down the rope the sack was hanging from). I do recommend keeping your food up away from the ground – there are stray dogs that roam through the campgrounds- they’re overall very sweet, but that doesn’t mean I want to share my food with them. 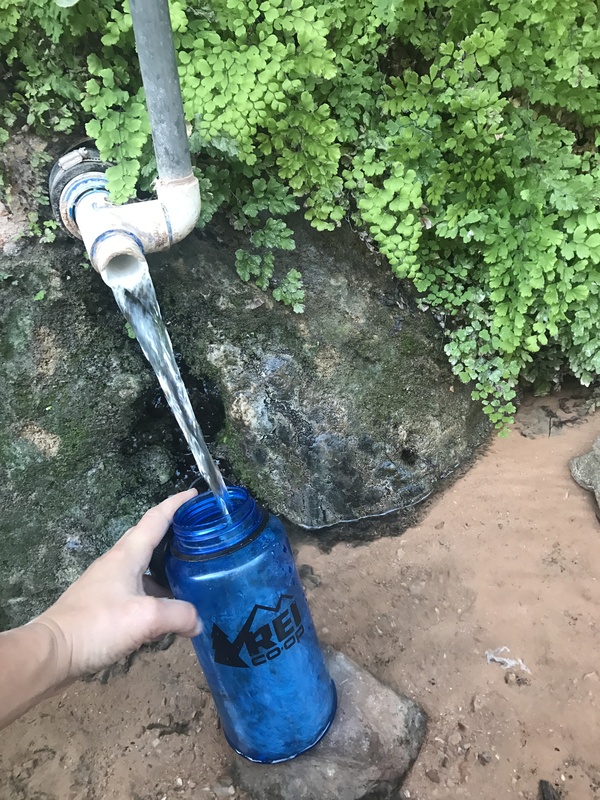 From the campgrounds, you can continue on to hike down to Mooney Falls, Beaver Falls, and all the way to the confluence of Havasu Creek and the Colorado River (more details on these hikes will be included in a future post). Hike back up to town to grab lunch, and make sure to stop and play at Fifty Foot Falls and New Navajo Falls on the way. 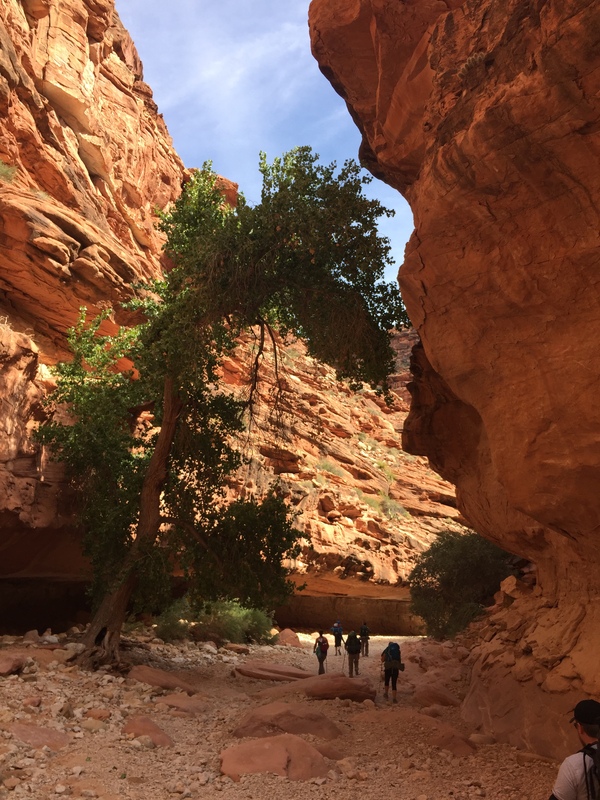 While on this trip, I spent my days playing in the water, hiking to different spots, and just enjoying the change of pace from daily life while exploring the canyon. At night, the creek going through the campgrounds makes for the perfect background noise. You can walk towards either end of the campground where there are less trees overhead to catch some awesome dark sky views- minimum light pollution makes for extra starry nights. When it’s time to head back to reality, get an early start- the end of the hike back is the most difficult, those steep switchbacks with minimal shade from the blistering sun overhead- and you do not want to hit that in the hottest part of the day. The hike out is bittersweet. It’s sad to leave such a beautiful oasis behind, but then again… a hot shower and cold beer are starting to sound pretty tempting at this point (at least, it did to me). Make sure you pack everything out with you, including your trash – if you have an extra bag, be a nice person and try to pick up extra trash you will surely come across. This is a beautiful place, it’s our job to keep it that way when we visit. If we can leave it cleaner than when we arrived, even better. Recovering in the trailhead parking lot after a sweaty, long, uphill hike back.